The painting above by Alan Brunettin (which I was fortunate enough to acquire at his moving sale) beautifully depicts the warehouses of Chouteau's Landing and the bridges that connect them, or in the case of the train trestle, fly over them. Unfortunately, as buildings downtown get re-developed, the bridges that connected the once multi-building industrial empires are sometimes disappearing due to short sighted thinking. Recently this steel bridge between the Elder Shirt Lofts building and the Bogen building was unceremoniously removed. It was one of many bridges that were built in the early part of the last century between factories and warehouses downtown. As operations in the factories grew, bridges were built to connect portions located in adjacent buildings to increase efficiency. 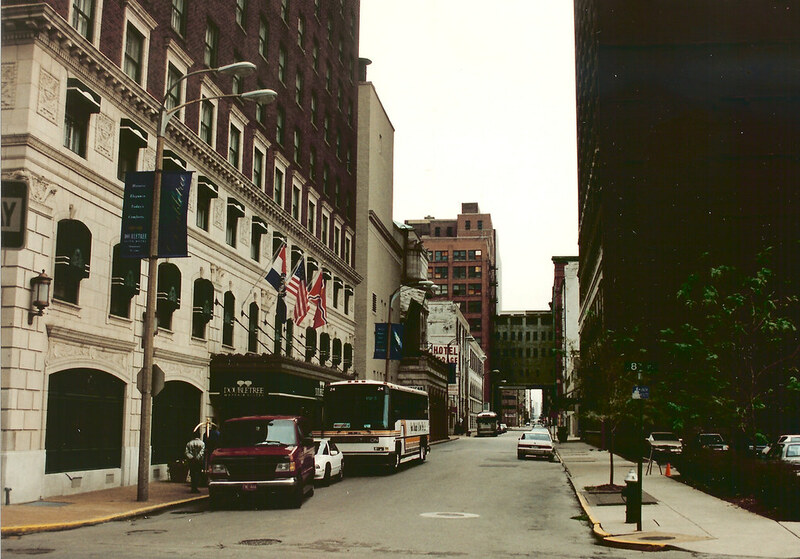 As buildings changed hands through the years, typically each building received ownership of half the bridge with the property line running across the middle. When the Elder Shirt building was redeveloped several years ago, I suggested using our half of the above bridge either as a private balcony for one of the 5th floor units or as a common space to be shared by the loft owners (the building has no other common outdoor space). The bridge provided interesting urban views in each direction along Lucas Avenue. At the time though since redevelopment of the other building was uncertain, Pyramid's development department did not want to risk improving half the bridge if its future was uncertain, so it was decided to simply close it off for later use. Apparently the developers of the Bogen did not see the potential for re-use, and the Elder Shirt condo association viewed the bridge as a liability, so they agreed to remove the bridge. 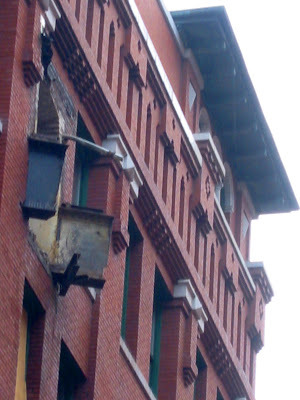 The ends of the large steel girders remained projecting from the Elder Shirt building a few days after removal. The opening to the bridge at the rear of the Bogen. Just a few years ago, a similar situation occurred a few blocks away between the Merchandise Mart and the 10th Street Lofts. In 1912, the giant Rice-Stix Dry Goods wholesale company outgrew the Merchandise Mart on Washington Avenue. 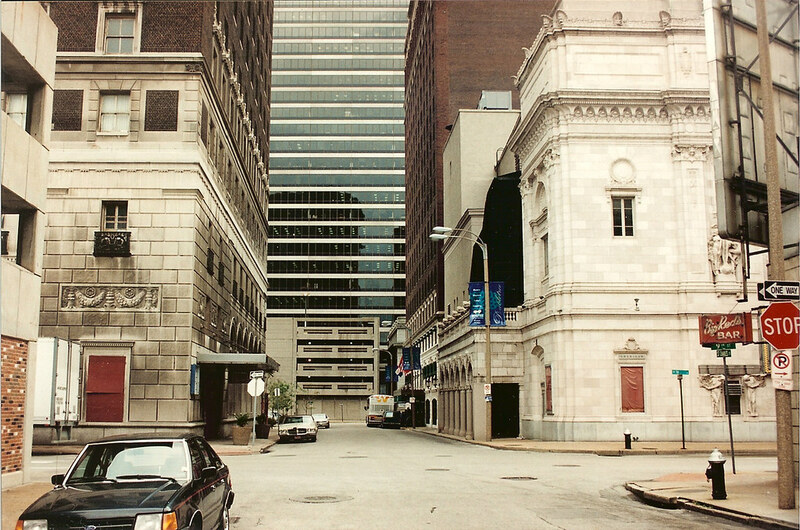 An eleven story annex was built across St. Charles Street and the two buildings connected with a four story bridge. 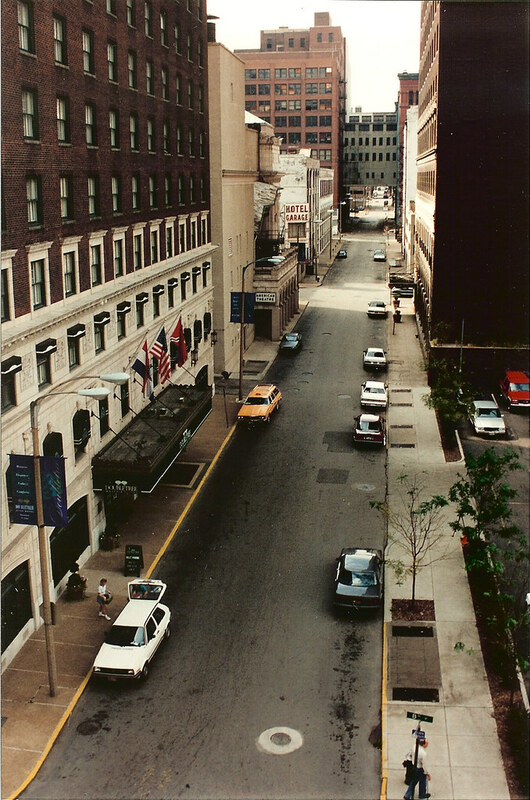 In 1920 the building now known as 1015 Locust was built and it too was connected to the Merchandise Mart with a five story bridge. 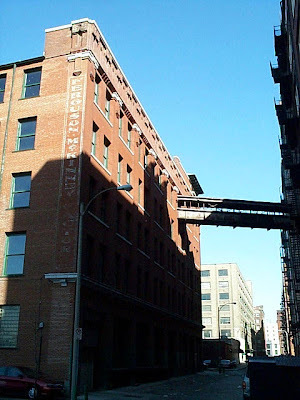 When the 10th street lofts were developed as downtown's first loft condo building in 1999, again, lack of a certain future of the Merchandise Mart and the bridge led to a decision to close off the bridge. When the Merchandise Mart was redeveloped a few years later, through a lack of vision, the new owners, HRI decided they wanted both bridges removed. 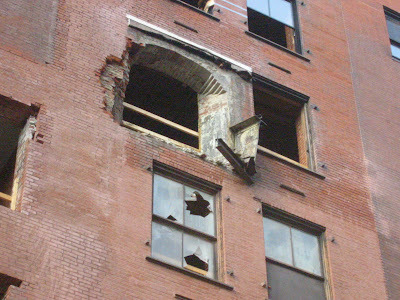 10th Street agreed so long as HRI paid for the entire removal including bricking in the openings on the 10th Street building, and thus the bridge was demolished. 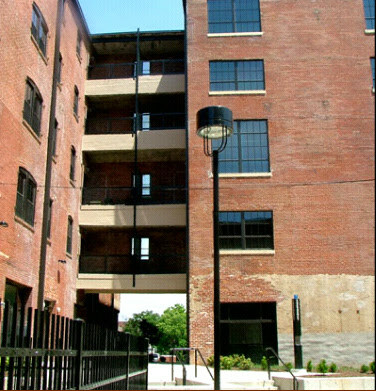 At the Majestic Stove Lofts, a bridge multistory connecting two buildings has been creatively re-used as balcony space for units in the adjacent buildings (photo from their website).